The Mediterranean looks better in the dark - at least in the view of an ESA-led effort to use satellites to take the daily temperature of Europe's seas. A switch to data acquired at night is one of several improvements undertaken to enhance reliability and reach of MEDSPIRATION project outputs. With sea surface temperature (SST) an important variable for weather and ocean forecasting - and increasingly seen as a key indicator of climate change â€“ the concept behind MEDSPIRATION is to combine data from multiple satellite systems to produce a robust set of sea surface data for the waters around Europe and also the whole of the Atlantic Ocean. MEDSPIRATION products are designed for near-real time ingestion into numerical ocean forecasting models to keep their outputs 'coupled' to reality, in the same way as numerical weather prediction (NWP) atmospheric models ingest satellite and in-situ results to enhance the overall accuracy of weather forecasts. An ultra high-resolution sea surface temperature map focused on the Mediterranean Sea with an accuracy of less than 0.3ÂºC is being made available daily. MEDSPIRATION products have been available to users since November 2004, but significant quality enhancements came about in January 2006, including two sq. km coverage being extended out into the Atlantic to match the grid of a major ocean forecasting model run by Italy's National Institute for Geophysics and Volcanology (INGV) and funded by the European Commission, known as the Mediterranean Forecasting System Towards Environmental Predictions (MFSTEP). New MEDSPIRATION product is also now available on a same-day basis: the daily analysis is now centred on the start of the current day instead of midday of the previous day, with the daily generation time being stretched back to 18:00 instead of 07:00 UTC. And significantly, only satellite data acquired during local night are now being utilised for the product. Satellite instruments can only measure the 'skin' SST â€“ the top ten to 20 microns of water â€“ rather than the 'bulk' SST beneath, which is the value that oceanographers are most interested in, the one that has the greatest influence on climate. During the daytime, incoming solar radiation can heat the topmost water layers, setting up steep temperature gradients which can mislead satellite instruments. Such gradients dissipate during the night, minimising at dawn which is when heat-measuring satellite sensors such as radiometers get closest to taking the temperature of deeper water layers. Switching to night acquisitions only also means that there is no longer a wind threshold in the data selection â€“ in the past a certain level of wind speed was necessary to stir up waters to reduce temperature gradients. These improved results from the Medspiration project also feed into an even more ambitious scheme to combine all available SST data into a worldwide high-resolution product, known as the Global Ocean Data Assimilation Experiment (GODAE) High-Resolution Sea Surface Temperature Pilot Project (GHRSST-PP). Its aim is to deliver to the user community a new generation of highly accurate worldwide SST products with a space resolution of less than ten kilometres every six hours. In support of that larger goal, since December MEDSPIRATION has made a new global product available: SST measured by the Advanced Along Track Scanning Radiometer (AATSR) aboard ESA's Envisat satellite. The product is available for users worldwide, including other operational groups in the USA, Australia and Japan contributing to the GHRSST-PP system. ESA has not only initiated MEDSPIRATION as the European contribution to the overall GHRSST-PP effort, but also funds a GHRSST International Project Office, located at the Hadley Centre for Climate Prediction and Research, part of the UK Met Office located in Exeter. "MEDSPIRATION now provides ultra-high resolution SST products covering nearly all the European seas in addition to a substantial part of the north-east Atlantic," said Craig Donlon, head of the GHRSST-PP Office. "This should help European NWP and ocean forecasting systems improve their services in the coming months. "The extension of the MEDSPIRATION area is a direct response to requests from the user community made at a consultation meeting at Brest in December. The MEDSPIRATION project â€“ and indeed the international GHRSST-PP â€“ considers such regular user consultations as one of the primary feedback mechanisms. By federating European efforts across R&D laboratories, operational NWP agencies, universities and the user communities, MEDSPIRATION is now providing cutting edge products that allow us to think about new possibilities." The temperature of the ocean surface helps 'make the weather': it is a strong influence on the exchange of heat, momentum, water and gases between the ocean and the air. Besides assessing such atmospheric inputs, accurate wide-area measurements of SST and its variations over time are also essential for forecasting sea state and currents, monitoring algal blooms and marine pollution, and predicting the movement of oil spills. The availability of such accurate daily SST maps covering almost all European waters also create potential for plenty of more localised uses, including meteorology and tourism applications â€“ and even steering fishermen towards better catches. The products will also have plenty of value in the longer term. Because water takes a long time to warm up or cool down the sea surface functions as an enormous reservoir of heat: the top two metres of ocean alone store all the equivalent energy contained in the atmosphere. The whole of their waters store more than a thousand times this same value â€“ climatologists sometimes refer to the oceans as the 'memory' of the Earth's climate, and measuring SST on a long-term basis is the most reliable way to establish the rate of global warming. Like thermometers in the sky, a number of different satellites measure SST on an ongoing basis. For example, AATSR aboard ESA's Envisat uses infrared wavelengths to acquire SST for a square kilometre of ocean to an accuracy of 0.2 Â°C. In fact, thanks to its high accuracy, AATSR is helping to calibrate other sensors employed by the MEDSPIRATION project. 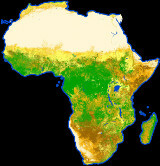 As well as AATSR, MEDSPIRATION also employs data from the Spinning Enhanced Visible and Infra-Red Imager (SEVIRI) on Meteosat-8, two Advanced Very High Resolution Radiometer (AVHRR) sensors on US NOAA polar orbiters, and a pair of Japanese-built instruments, the Advanced Microwave Scanning Radiometer (AMSR) and TRMM TRMM Microwave Imager (TMI) instruments, aboard NASA's Aqua and the JAXA-NASA Tropical Rainfall Measuring Mission (TRMM) spacecraft respectively. Other satellites may have decreased accuracy or resolution, but potentially make up for it with cloud-piercing microwave abilities or much larger measuring 'footprints'. Combine all available satellite data together â€“ along with localised measurements from buoys and research ships - and you can achieve daily monitoring of the temperature of all the oceans covering 71% of the Earth's surface. This information is then prepared for input into the relevant 'virtual ocean' â€“ a sophisticated computer model of the genuine article. The combination of satellite and also available in-situ observations with numerical modelling â€“ a technique known as 'data assimilation' â€“ is an extremely powerful one. It has revolutionised atmospheric weather forecasting and is now being applied to the oceans. Near real time observational inputs keep an ocean model from diverting too much from reality, while the outputs from the model make up for any gaps in coverage. With maximised coupling between actual observations and the numerical model, output data can be credibly used for operational tasks. And these models can also be used to look deeper than just the ocean surface. 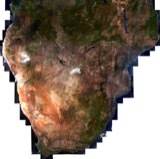 The MEDSPIRATION project is being supported through ESA's Data User Element of the Earth Observation Envelope Programme-2 (EOEP-2). As well as ESA, CLS and CNR, the Medspiration team comprises the Southampton Oceanography Centre, the UK-based VEGA company, Meteo-France's Centre for Space Meteorology, the French Research Institute for Exploitation of the Sea (IFREMER), the France-based Actimar firm and the Norwegian Meteorological Institute. MEDSPIRATION is being run as a demonstration project up until the end of 2007, with user consultations taking place every six months â€“ the next being scheduled for June. The project will then be extended to cover requirements coming from the MARCOAST initiative to deliver a range of operational services in the marine environment including water quality and algal bloom reporting as well as oil-spill related services.